How to Teach Piano To Bob The Builder, Lightning McQueen and T-Rex. Home / How To Teach Piano / How to Teach Piano To Bob The Builder, Lightning McQueen and T-Rex. Bob the Builder comes to my studio every week with a hammer. Granted, it’s plastic, but it’s definitely functional. My studio bookcase certainly doesn’t have any loose nails! Lightning McQueen races through my door complete with a squealing brake system. T-Rex? Well he comes (gnashing his teeth) every Thursday at 4:30. 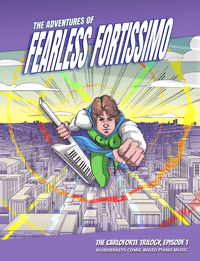 Teaching piano to my young boy students is definitely an adventure. In fact, effectively teaching piano to boys is both an art and a science. 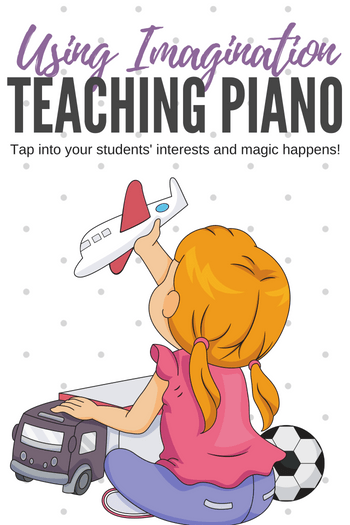 Not only do you need to be a piano teacher, but you also need to be a participant in their vivid world of imagination. Without agreeing to be a part of this you are missing out on some great teaching opportunities. Many young children live in two worlds; the one that includes you and I, and the other imaginary one that is every bit as vivid and real to them as is real life. 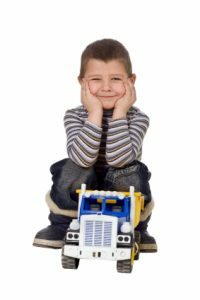 Watch any boy play with his cars or trains and you’ll see an intense concentration that you’d pay cold hard cash to see on the piano bench instead! 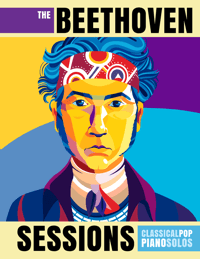 Piano teachers spend a great deal of time attempting to keep their young boys interested and motivated – intent on bringing them “back down to earth” so they can actually learn something. And unlike Anthony Ants-In-His-Pants these imaginative kiddos do have the ability to focus for long periods of time… if you’re interesting enough. But hey, kids like this are doing you a favour – it’s quite apparent what they are passionate about! So grab hold of that love for dump trucks or dinosaurs and capture their attention like never before. Take an extra swig of that coffee and get ready to expend some energy with your young piano students. It takes effort to play imagination during their piano lesson, but it’s a positive effort that will leave you feeling energized… not exhausted. Find their passion and then try the following adaptations when teaching your young piano students. 1) Greet them in character. “Arrrr Matey! Jump aboard!” or “Hey Joe… welcome to my gravel pit!” as their welcome sets the piano lesson off on the right foot. You’ll get their attention and they’ll appreciate the fact you knew just what to say. You will gain their respect immediately. 2) “Houston, we’ve got a problem”. What would their favourite thing say if there was something that needed to be fixed? Give them constructive feedback on their piano playing using the appropriate lingo. Did something become de-railed? Was there a villain hiding the sharp or flat on their page? Did the Velciraptor play too loudly on the keys? 3) Modify your games. 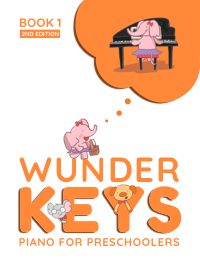 Most piano teaching games can be easily modified to suit their tastes. Pick up some little figurines at your local dollar store and use them for identifying keys on the piano, finding notes on their page etc. With a few small changes any of your piano teaching games can quickly become their favourite activity. 4) Change the piece titles. It makes no difference to you if it’s called “Minuet” or “Moon Landing”. Find a way to make the piece relevant to them by simply changing the title of the piece. If you’re really inventive add rhyming lyrics for the melody in the same theme. 5) Use their logic. Make everything you teach relate to their chosen passion. 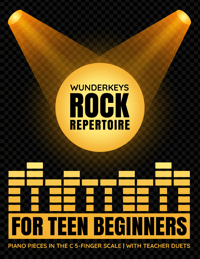 Teaching sharps and flats? 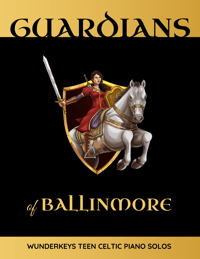 Well, sharps are the knight’s shield that he holds higher to fight the dragon… flats are like a flat race car tire as they make the note sink lower. Be inventive in your delivery of information. By making it relevant to them they’ll never ever forget it. Finally, learn to take your teaching cues from them! You’ll be surprised at the inventive and unique activities your students will create. Add your expertise and jump on in. 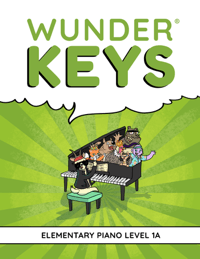 Young piano students have the potential to be the most engaged and wonderful students to teach. By tapping into their intense interests, you increase their learning potential ten fold. If you’re willing to delve into the world of imagination right along with them, you’ll never have to fight for their focus again. 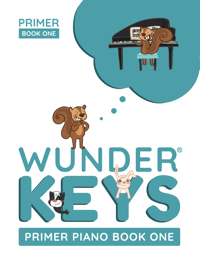 WunderKeys Piano Method Books have this imagination factor built right into every single lesson! Our story-based format and appealing illustrations mean you’ll have plenty of material for fun! Find out more here. Breaking Up Is Hard To Do: Turning “Goodbye” Into “See you Soon”!